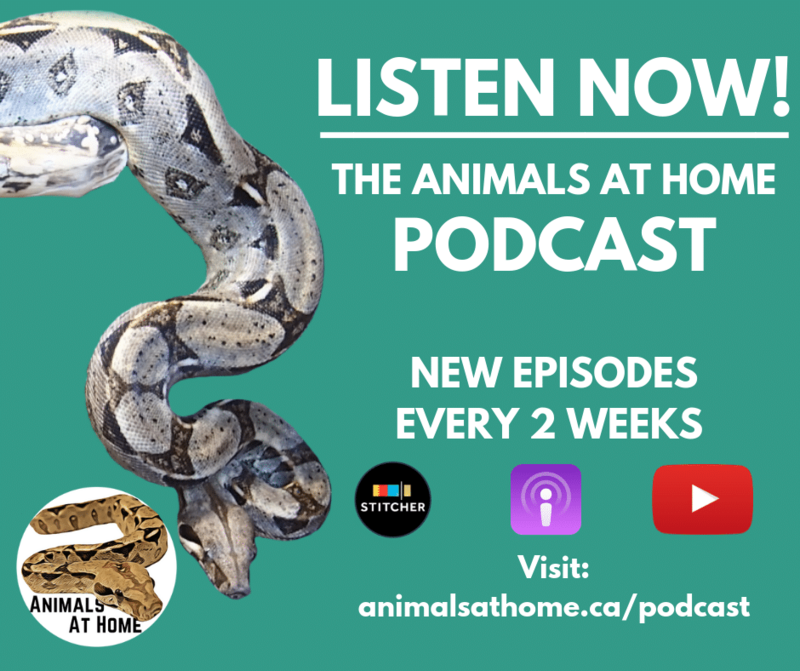 If you are looking for an animal podcast to listen to than The Animals at Home Podcast is what you are looking for. Dillon Perron, the host, and creator interviews a diverse range of animal experts. 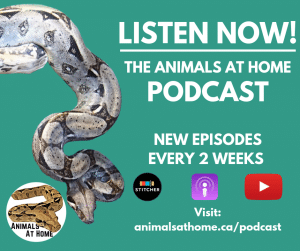 The show has a tilt towards reptiles and the reptile hobby but Dillon makes it clear that this is an animal podcast, not just a reptile podcast. Guests will and have been featured from many different areas of expertise. Each episode runs about 60 mins in length. Within the hour, you can expect to not only learn fascinating facts about animals, you will also learn the stories behind those who work with animals, whether that be on a hobbyist or academic basis. If you are someone that likes to listen to podcasts on your way to work, then choose your favorite podcasting app to listen to the show! Why Listen to this Animal Podcast? Besides the interesting content and guests featured on The Animals at Home Podcast, there is even a better reason to engage in the content! Animals at Home is an Offical Sponsor of The Amazon Rainforest Conservancy (A.R.C). This means a portion of the profits generated by the Animals at Home Podcast, Youtube Channel and Blog is donated to the charity with the goal of protecting the Amazon rainforest.